On Wednesday, an international alliance of kayakers, anglers, residents and nature conservationists protested against the construction of hydropower plants inside Mavrovo National Park. Not only is Mavrovo one of Europe’s oldest national parks, but also a treasury of European biodiversity. The protest action was part of the Balkan Rivers Tour directed against the dame craze in the Balkans, which is threatening to destroy the last free flowing rivers of our continent. Inside Mavrovo National Park alone, two big and several smaller hydropower plants are projected to be built. “Hydropower plants stands in stark contrast to the protection of biodiversity and have no place in protected areas such as the Mavrovo National Park!”, says Theresa Schiller, coordinator of the “Save the Blue Heart of Europe” campaign at EuroNatur Foundation. This assessment receives top-level support: in December 2015, the Bern Convention (one of the most important nature conversation conventions in Europe) called upon the Macedonian government to stop all construction projects inside Mavrovo National Park and conduct a comprehensive environmental assessment. The recommendations were also directed at the international financiers of the hydropower projects, most notably the World Bank and the European Bank for Reconstruction and Development (EBRD). As a consequence, the World Bank has dropped its funding of one of the two projected big hydropower plants. The project “Boskov Most”, funded by the EBRD is, however, still in the pipeline and as such a ticking time bomb. The provided funds were merely frozen for the time being. The hydropower projects in Mavrovo National Park are putting the last Balkan lynxes, a subspecies of the Eurasian lynx (in the picture), at risk. © Joachim Flachs. the species’ habitat would be destroyed. 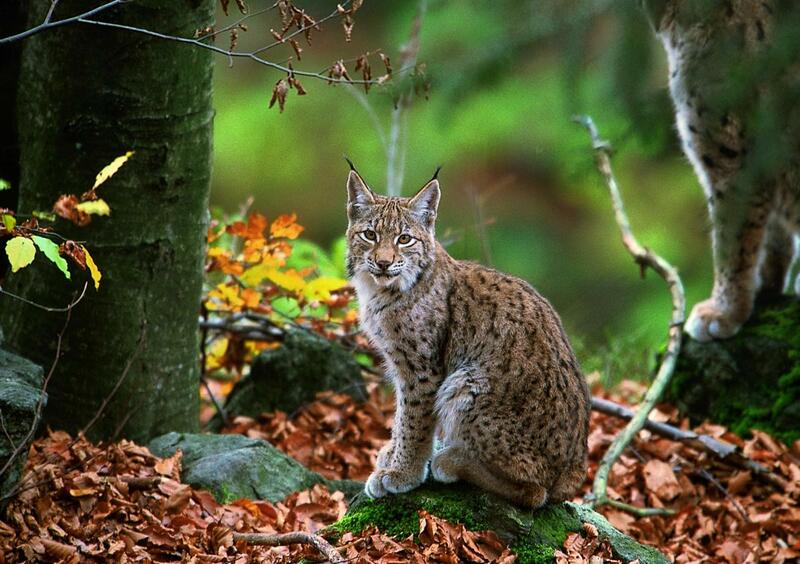 “Mavrovo is the reproductive centre of this critically endangered subspecies of the Eurasian lynx”, confirms Daniela Javanovska of the Macedonian Ecological Society (MES). “The message of the Bern Convention’s committee to the Macedonian government and everyone involved in this egregious project could not be any clearer: protected areas are protected for a reason”, says Vesna Ilievska Utevska of the Macedonian environmental NGO Eco-sense. However, the Macedonian government appears unimpressed. “The implementation of small hydropower projects is proceeding unimpeded”, so Aleksandra Bujaroska of the Macedonian NGO Front 21/42. “We urgently call upon the Macedonian government and banks involved to take the Bern Convention’s recommendations seriously and immediately stop all hydropower projects inside the Mavrovo National Park”, says Theresa Schiller from EuroNatur. “Intact rivers are essential not only for fauna but also for humans. The Balkans’ pristine river landscapes have the potential to boost sustainable socio-economic development, even so in Mavrovo National Park. It does necessitate however that the rivers remain unharmed! 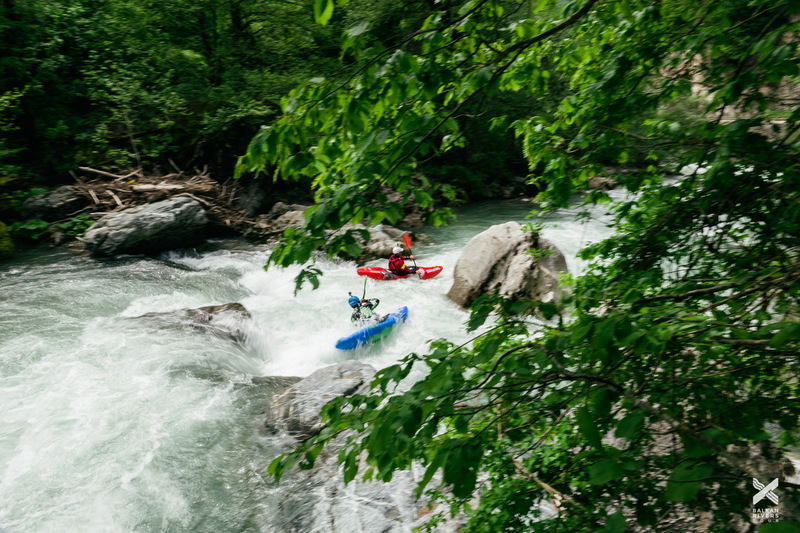 Anglers, kayakers, nature conservationists – we all must join forces to prevent the dam craze here and on the entire Balkan Peninsula”, so Rok Rozman, organiser of the Balkan Rivers Tour. The protest was part of the Balkan Rivers Tour: over 35 days, kayakers from various countries are paddling the most stunning and most threatened rivers in the Balkans in order to draw attention to the imminent dam tsunami. Led by former Slovenian Olympic athlete Rok Rozman, the tour started on April 16 on the Sava in Slovenia and will end on May 20 in Tirana/Albania. The Balkan Rivers Tour is an activity organized within the framework of the “Save the Blue Heart of Europe” campaign, which was launched by ‘EuroNatur’ and ‘Riverwatch’ in order to protect the Balkan rivers from the imminent destruction due to hydropower development. The Balkan Rivers Tour is a joint initiative by Leeway Collective, EuroNatur, Riverwatch and WWF Adria and is supported by Patagonia, Mava Foundation and Manfred-Hermsen-Stiftung.